The Massachusetts Adult Literacy Hotline provides referrals to over 300 adult education programs that offer one-on-one tutoring, small-group or classroom instruction to adult learners. 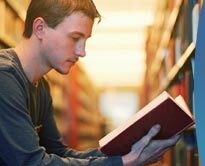 We provide information about basic reading, math, adult basic education, English language training, family literacy, High School Equivalency Test preparation or testing sites. Phone : You can call the Hotline at 1-800-447-8844. Online : Use the Find A Program tool, in the blue area below, to search for a program in 3 steps: "WHAT KIND", "WHERE" and "WHEN". Follow the instructions on each page to complete the process. If you want to take classes, choose Learner. If you want to volunteer at a program, choose Volunteer. Then click on Next Step button to move to Step 2, WHERE. 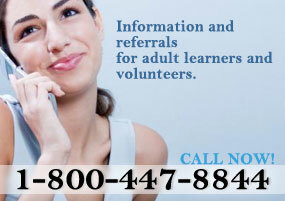 Download Adobe Reader to view the Massachusetts Adult Literacy Hotline Flyers in each language. This website was produced in collaboration with the Massachusetts Department of Elementary and Secondary Education.